A New Summon Showcase, The Hunt for Harmony, Is Now Live! 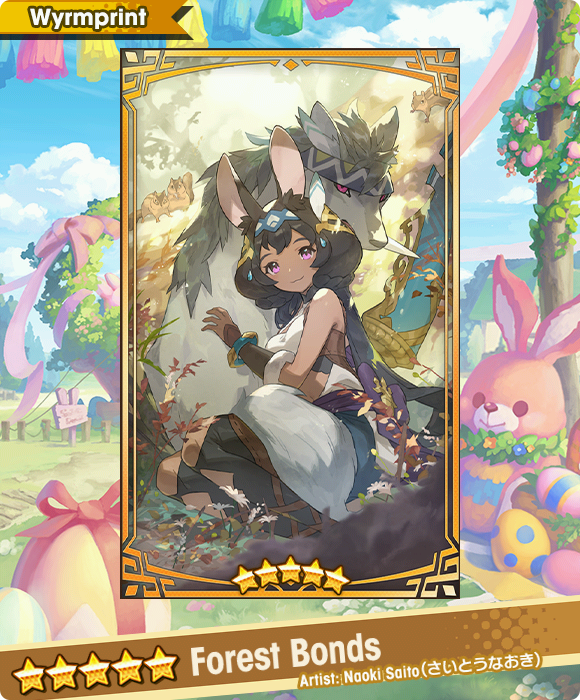 A new Summon Showcase, The Hunt for Harmony, went live 11:00 PM Mar 30, 2019(PT)/6:00 AM Mar 31, 2019(UTC)! All featured adventurers, dragons, and wyrmprints will have increased appearance rates for a limited time! 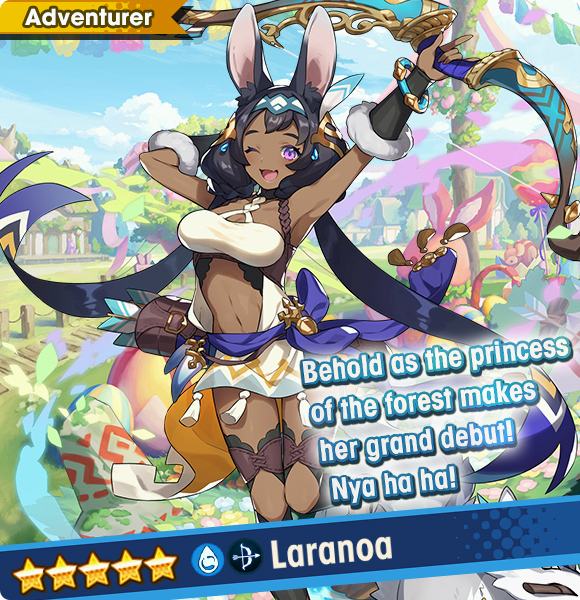 Note: For information about other featured adventurers, dragons, and wyrmprints, tap Summon on the in-game footer menu, then check Showcase Info. Get a closer look at some of the featured adventurers, dragons, and wyrmprints below. A sylvan from the west forest, and childhood friend of Luca and Sylas. She was nominated as the next chief of her village on account of her strength, hunting skills, and popularity. Her hunting dog, Rolf, has been with her since birth. A motherly dragon living a quiet life in the forest. She has been warming the same egg for many hundreds of years, eagerly awaiting the first signs of hatching. To threaten her egg is to incur both a dragon's and a mother's wrath. 1. For more information about summoning, tap Summon on the in-game footer menu, then select Showcase Info and check the Details tab. 2. 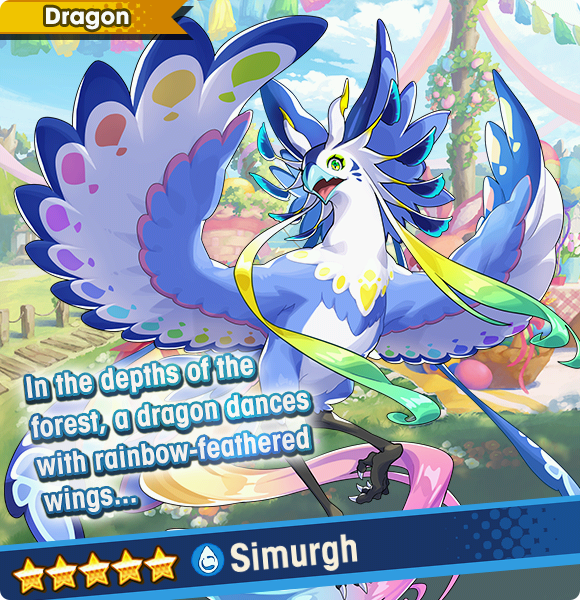 For information about featured adventurers, dragons, and wyrmprints, tap Summon on the in-game footer menu, then select Showcase Info and check the More Info tab, or select Appearance Rates and check the Appearance Rates section.